How could I not title this post with a Biggie quote? Throughout the last couple seasons, I have really been ignoring my graphic tees. However, within the last few weeks I’ve slowing been pulling them back out of the bottom of my wardrobe. 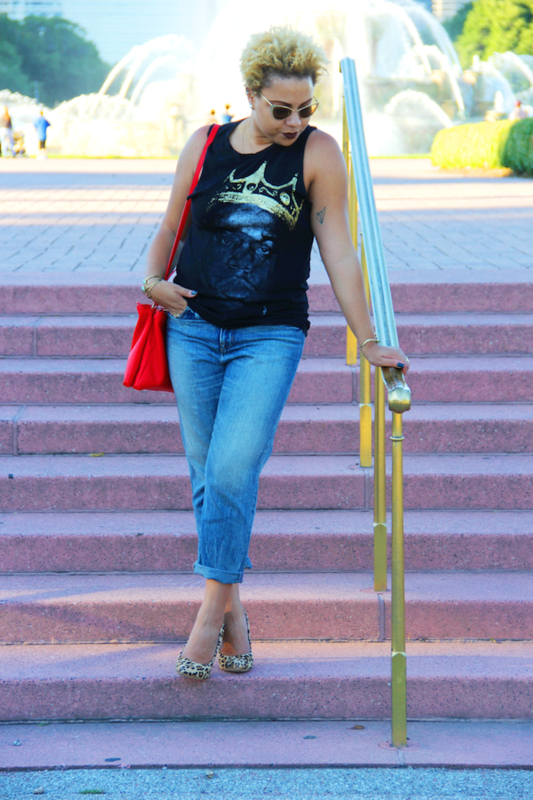 I’m loving the idea of giving my old graphic tees new life this fall and creating some awesome looks! Forever 21 is actually a great place to pick up affordable graphic tees and it’s exactly where I got mine! 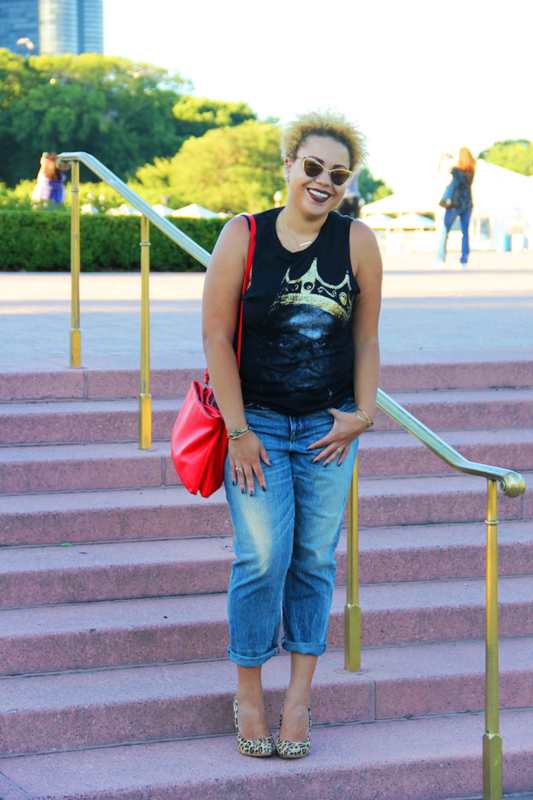 For this look I also pulled out these forgotten BDG boyfriend jeans that I scored a couple of years ago for only $10 at the Urban Outfitters Surplus Store (If you’re in Chicago and still haven’t checked this place out…what are you waiting for?). 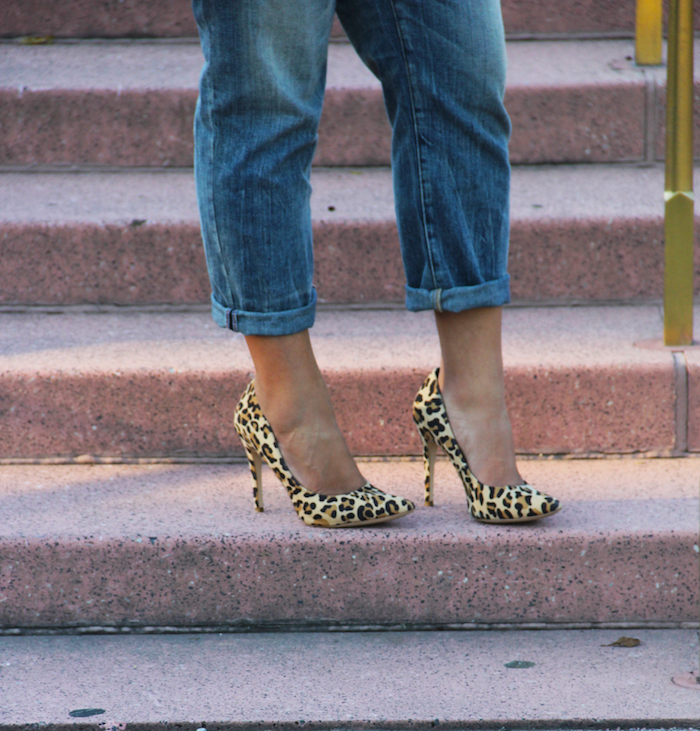 I was really excited to revitalize these casual pieces with my leopard pumps by New Look, along with my usual gold accessories. One of the keys to living a thrifty life is to make sure that you’re utilizing what you already have! Is there anything in you’re closet that you've allowed to start collecting dust and can probably give another chance as well?